The great thing about photography is the ability to take photographs anywhere anytime with any level of camera or phone. The spontaneity can sometimes be quite rewarding. Awaking to a curiously warm and dry day meant that tea could be drunk outside with the ramblings of a newspaper. 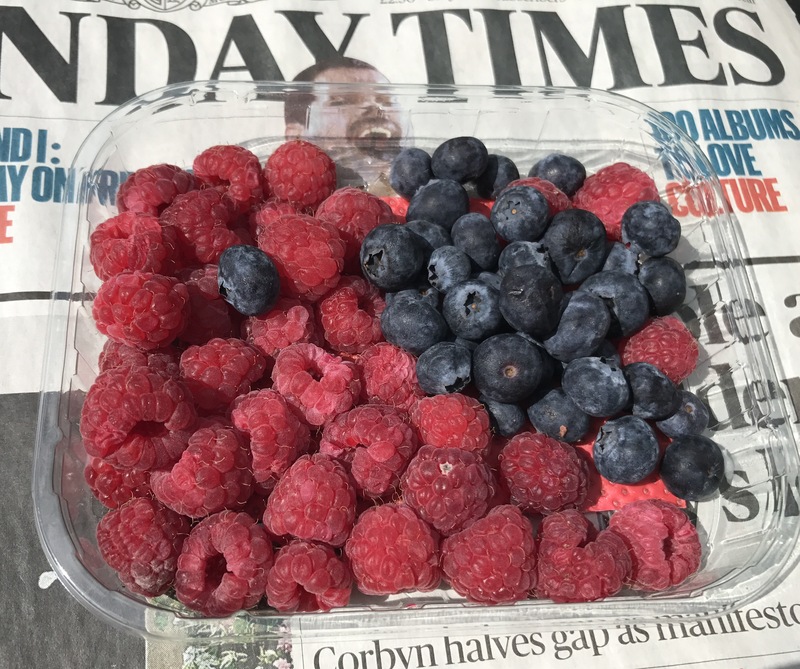 With just the humble I Phone 7 it was easy to take a photograph of some fruit sitting on the newspaper. 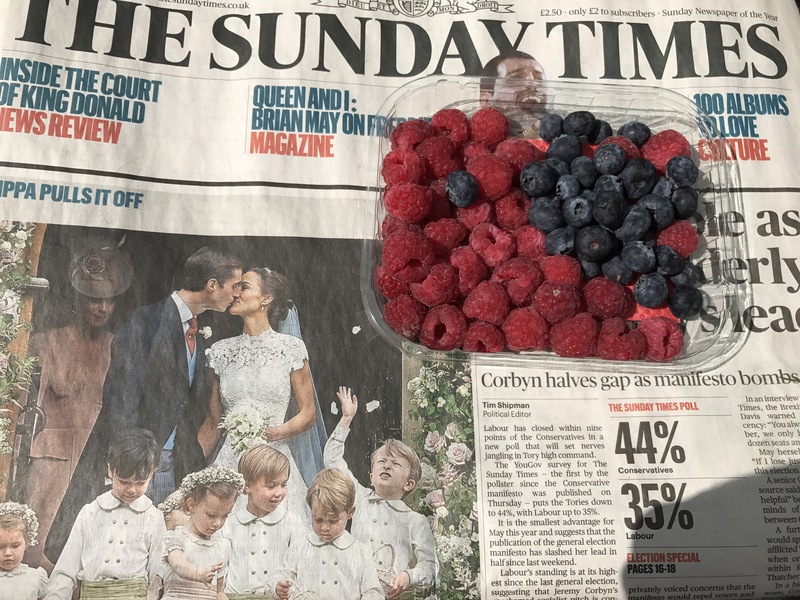 It was only when I looked at the photograph I saw that it seemed Freddie Mercury was in my raspberries. Never seen that headline before.